We started Ask Dr Wealth with a simple goal: We want you to be a better investor. To that end, every week, we round up the top discussions we feel you readers will benefit from the most and put it up here for easy consumption. Stock Research: Which websites and tools (free and paid) do you use? Supplementary Retirement Scheme Money: REITs or ETFs? Top Four Investing Lessons from Our Ask Dr Wealth Members! #1 – How to Analyse Bank Stocks? We previously wrote a full article on how to analyse bank stocks and we did a Full-Scale Analysis into DBS vs UOB vs OCBC: Dividends, Cheapness & Growth. You can check it out if you want to find out which one pays the most dividends, is the cheapest to buy, and has the best growth potential! Return on Assets – Is it positive or has it been negative? 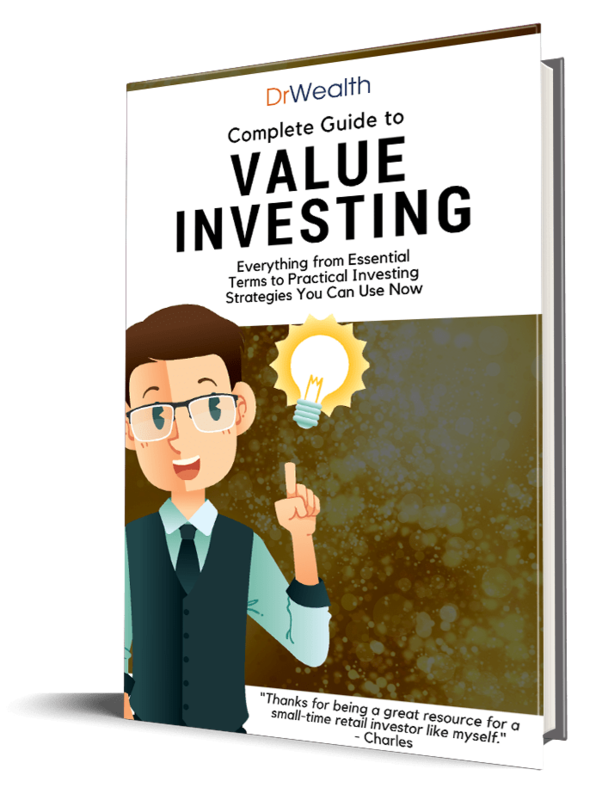 Book Value – Is it under-priced or over-priced? Capital Adequacy Ratios – Is capital adequate for expenses or have they been borrowing? Majority Shareholders – Does the company management have shares in the company? If they do, they’re far more unlikely to be negligent and see the company fail, especially with their own money in the company. Management Compensation – How is management compensated? Is it fair compared to the industrial average? Is it fair compared to company profits and revenues? Combining everything should give YOU a relatively good picture of HOW to analyse a bank! #2 – What are Some of the Tools a Singaporean Investor can use for Stock Information? Tools and Websites (both free and paid) that you should make use of to gather more information on your target stock prior to investing. SGX StockFact (Free) – We cover how to generate stock ideas using SGX Stock Fact here. SGInvestors.io (Free) – Website with what notable analysts and experts have to say, a news feed catered for business and stocks, information on Singapore Real Estate Investment Trusts, and a Market Tracker. Investingnote.com (Free) – Website with articles written and curated by bloggers and financial experts for stock research. REITdata.com (Free) – Website that tracks Singapore REITs, Malaysia REITs, and Singapore Savings Bonds in a simple, easy to understand table. #3 – Supplementary Retirement Scheme Money: Do You Buy REITs or ETFs? The premise is simple. There is limited monies available for us to use in the supplementary retirement scheme. In that case, dilutive rights issues or share subscriptions (where the companies agree to sell existing shareholders additional shares at below market value in order to raise more cash for business needs) for REITS or individual stocks may become something that our SRS accounts might not be able to handle. Bob Li’s question is therefore: is it better to simply purchase ETFS then in that case? Since if we do not purchase the rights or issues, it can sometimes dilute our shareholder-ship and dividends? Can we contribute cash to support the rights issue purchase? As it turns out, apparently the answer is yes, you can top up your account to take on the rights issue or subscriptions if need be, and yes, the ETFs are by default subscribed, although the evidence is anecdotal and not representative of the entire industry. More due dilligence is recommended by talking to the relevant authorities for further clarifications. Is it better? That’s subjective. ETFs offer diversification. Individual stocks offer greater possible returns as well as greater overall risk. Choose according to your risk appetite. We wrote a separate article covering the Supplementary Retirement Scheme as a tax savings tool, how to contribute to it, how to withdraw from it, and 3 things you should keep in mind before you contribute. Combined, these should provide you a nice little nugget of information to work over when considering your own finances! #4 – Top Four Investing Lessons from Ask Dr Wealth Community Members! When it comes to investing, it’s best to stand on the shoulders of giants… rather than to make expensive mistakes yourself. Diversify appropriately. Pay attention to your risk appetite. Invest only money you don’t need. It’s easier for your self-discipline if you don’t need that money to pay next month’s bills. Consider risk-reward potential of the stock carefully. Don’t be afraid to take profits early. Sometimes you don’t have to buy the stock if you’re convinced that the price is less than its value. Learn how to short profitably – especially useful when the market crashes. Start your investing journey young so compound interest can see your gains skyrocket. Best to increase capital and income before investing since size of your capital will affect your returns. When you’re young, concentrate on improving your skills as that will increase your income which allows you to have more capital to invest later when you’re older. #2: From Siti Putri: Look at fundamentals. Not Price. Don’t mix and match. This isn’t Rojak. Also, it pays to be very good at one investing strategy before you combine strategies. Don’t do derivatives CFDs, margins, etc unless you’ve enough capital and you’re confident of doing so (Chris Ng will agree with me). While the financial markets can very well be a playground, it can also be a slaughterhouse. #3: From Chris Susanto Lee: Buying a good business at a fair price is almost always better than buying a fair business at a good price. While what we buy it’s important… what’s even more important is: when we buy… and sell. Of course… sometimes it pays to do nothing when there’s nothing to do – especially when they’re no bargain buys in the market. You are in charge of building your own wealth. If you’re looking to become a better investor and you’d love to share your investing knowledge with others, then I’d like to invite you to join our Ask Dr Wealth community group (more giveaways and contests coming soon!). 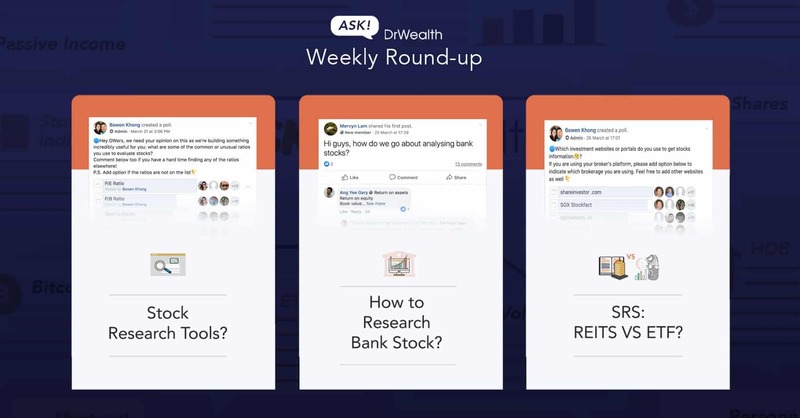 PS: If you have any questions regarding any of the above covered topics, or if you have any other investment related queries, feel free to post them in the Ask Dr Wealth Group! That’s what the Join Button is for!